The first step in cases like these is always to talk to your attorney. Share your concerns, and let them know what assets you believe your spouse is hiding, and your reasons for believing this. Your attorney is your best advocate and advisor for handling the situation properly. 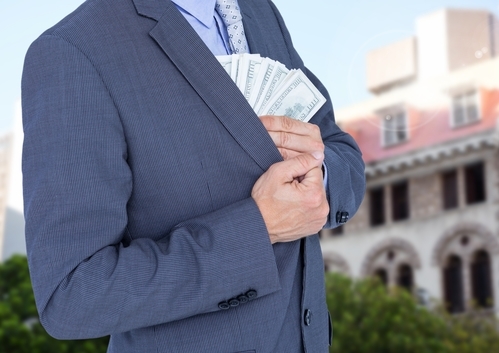 They’ll take the proper steps to have those assets found and reported to the divorce court judge, and ensure that you get your share of the hidden assets. They may even be able to request certain retributive measures against your spouse for illegally trying to hide the assets. Once you’ve spoken with your attorney, you may want to consider approaching your spouse about the assets in question. Of course, whether or not you try this route will depend largely on your divorce case. If it is heavily contested, this conversation could simply be throwing a match into the already heated discussions. However, it is important to consider that your spouse simply may have forgotten to report those assets to the divorce court. Assets like cash, insurance policies, and traveler’s checks are frequently forgotten in these kinds of cases, so be sure to consider this possibility before beginning to level any accusations against your spouse. Reviewing financials is usually the best way to begin searching for hidden assets. Look over financial accounts (including retirement accounts) and keep an eye out for any large or unusual transfers. Be sure to look back over the months leading up to your divorce, as some spouses will try to hide assets for several months before filing for divorce. Every divorce has a discovery phase in which both spouses have the right to request documents and other information that may be relevant to your divorce. In this phase of the divorce process, you’ll have the ability to go over a lot of information that would normally be off-limits for you. So, the discovery process is a great way to uncover any records that can lead you to hidden assets. At our law firm, we employ experienced, professional forensic accountants to help you ensure that you discover hidden assets. If you believe your spouse is hiding financials or other assets, we can enlist the aid of a forensic accountant on our team. These individuals can comb through financial records to find even the most carefully concealed transfers so that we can get to the bottom of your suspicions. For example, many high-asset divorce cases involve the ownership of a business, and spouses going through a divorce can frequently use business accounts as a means of concealing personal assets. Our forensic accountants have the experience needed to review business financial records and find any indicators that may point to assets that have been hidden within the business. If you can offer evidence to support your suspicions, but your spouse still isn’t coming forward and reporting the assets they’ve hidden, you have the option of approaching the court and asking them to intervene. Your spouse is legally obligated to report all assets when filing for a divorce, so the court can issue an order for your spouse to produce specific documents or information you’ve requested. Violating a court order has serious consequences, so it’s good motivation to get your spouse to comply. Asset division is never an easy process, but it is made much more difficult when either spouse tries to hide their assets from the court. So, if you’re going through a divorce, be sure to be forthcoming about all of your assets—including financial accounts, real estate, and personal possessions. And if you believe that your spouse is hiding any assets from the court, contact us to speak to one of our attorneys. We can help guide you on the right path to finding those assets and ensuring that you get your fair portion of them during the divorce.